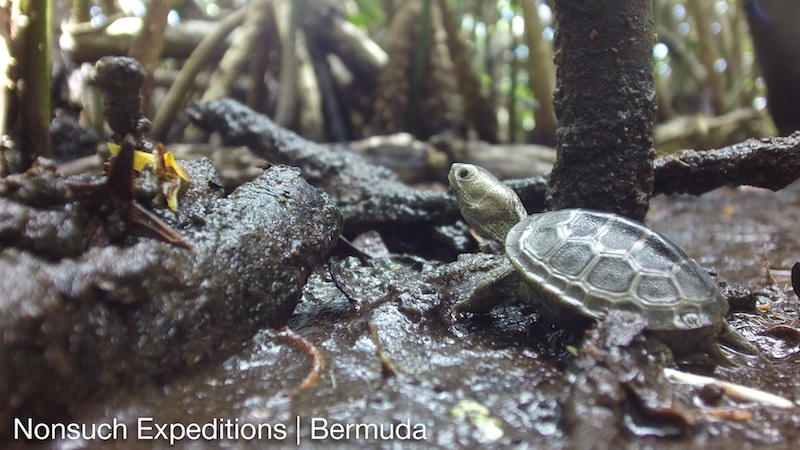 The rare, native, Diamondback Terrapins are only found in a few land-locked, brackish water ponds on Bermuda. Not to be confused with the invasive pet store variety red-eared sliders, research has shown that the population is small and vulnerable to local extinction and that the Mangrove communities are especially important habitats for young Terrapins. 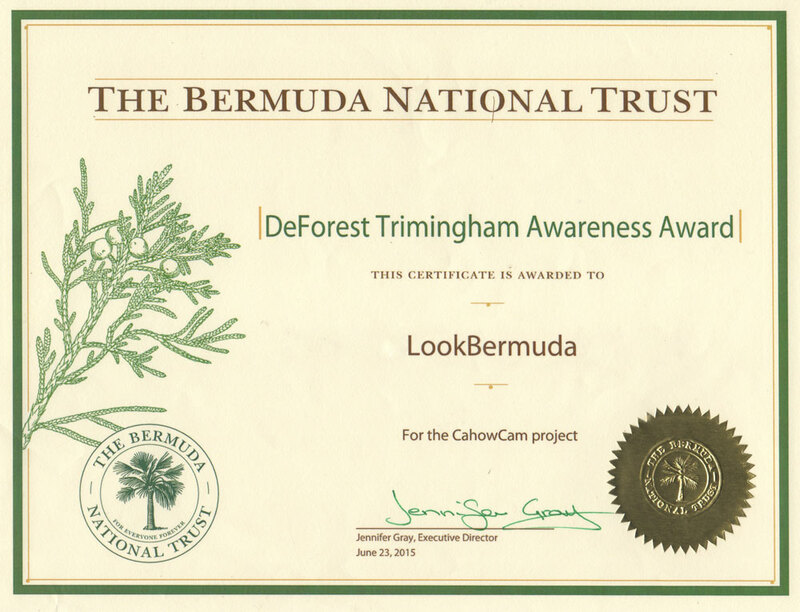 Whilst they are not currently found on Nonsuch Island, they are an important part of Bermuda's biodiversity which we are documenting through our ongoing Expeditions. 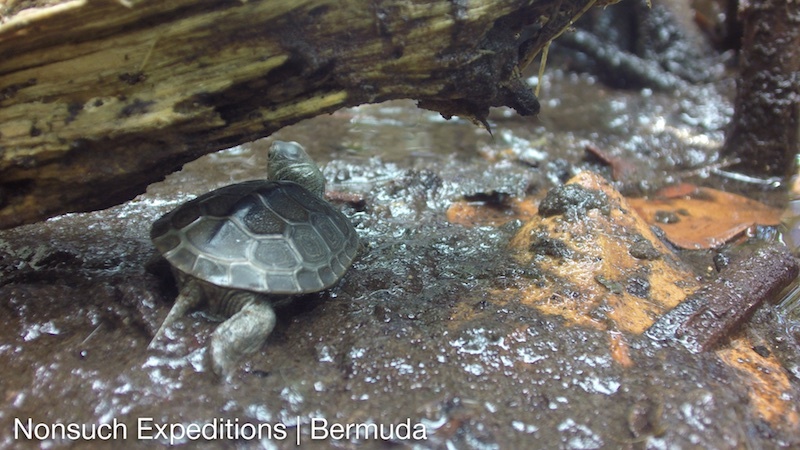 This individual hatched in captivity at the Department of Conservation Services in Bermuda and subsequently released back into its local mangrove habitat, is one of many that have been produced over the years from a conservation-oriented egg incubation program for this rare native species. 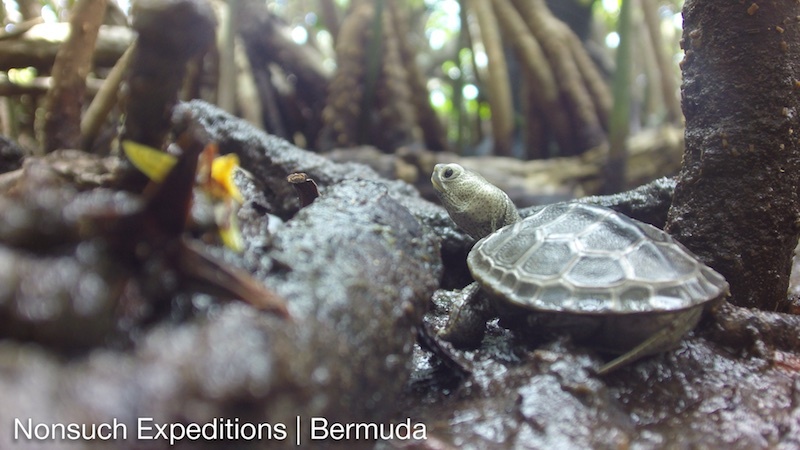 The following images are screen grabs from the video we shot during one of our recent Expeditions, using our new custom built micro, macro rig which allows us to film in 4k and follow the subjects at their level, in this case hatchlings the size of a quarter, in a mangrove swamp, literally millimeters above the water and mud. Please subscribe to our Newsletter or follow our Facebook Page to be notified of the soon to be released video. Note: These endangered Terrapins and protected and are not to be collected or kept as pets. Big thanks to Mark Outerbridge, MSc, PhD, Wildlife Ecologist, Department of Conservation Services. 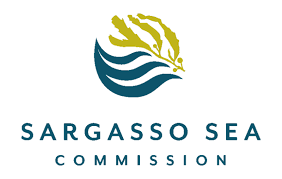 For more information please visit the Department of Conservation Services website.